Supra-Battery!!! 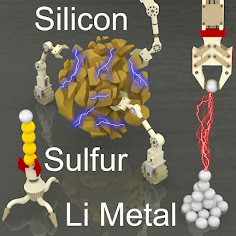 Our manuscript entitled "Dynamic Crosslinking of Polymeric Binders Based on Host-Guest Interactions for Silicon Anodes in Lithium Ion Batteries" is just accepted for publication in ACS Nano! Congratulations to Taewoo for this excellent work! and thanks to our excellent collaborator Prof. Jang Wook Choi!